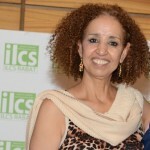 The Institute of Leadership and Communication Studies welcomes you to Morocco: Marhaba! ILCS group International Programs Morocco provides high quality study abroad programs in Morocco. With more than 15 years of experience, ILCS knows exactly what the client needs. Our programs are the perfect combination between theory and practice where students have in- and outside classroom experience which offers them a full cultural immersion into the Moroccan society. At ILCS, our highly qualified, diverse faculty and staff promote programs that help students reach their objectives. In our years of organizing programs for International students, our international students have shown that they truly have benefitted from their language instruction and extra-curricular activities.